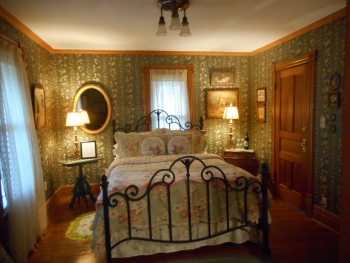 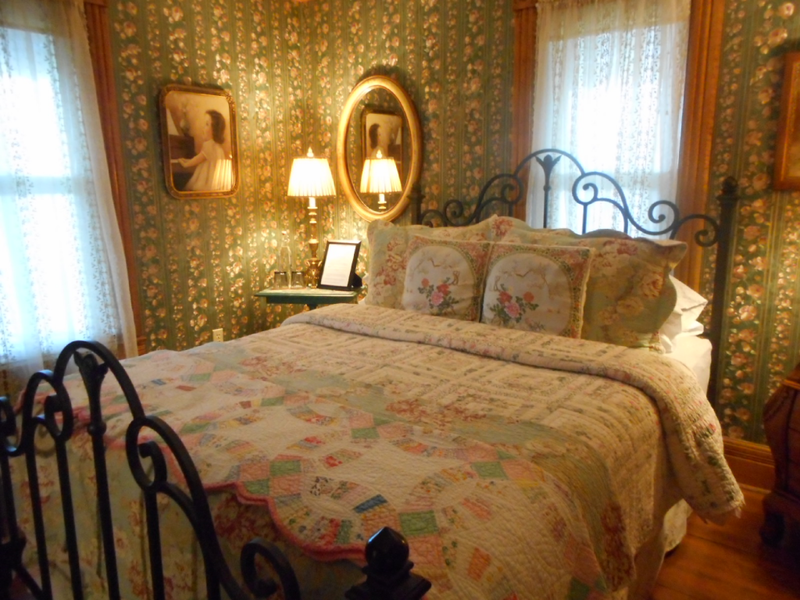 Our most economical room offers a classic, timeless decor, Queen size pillow top bed. 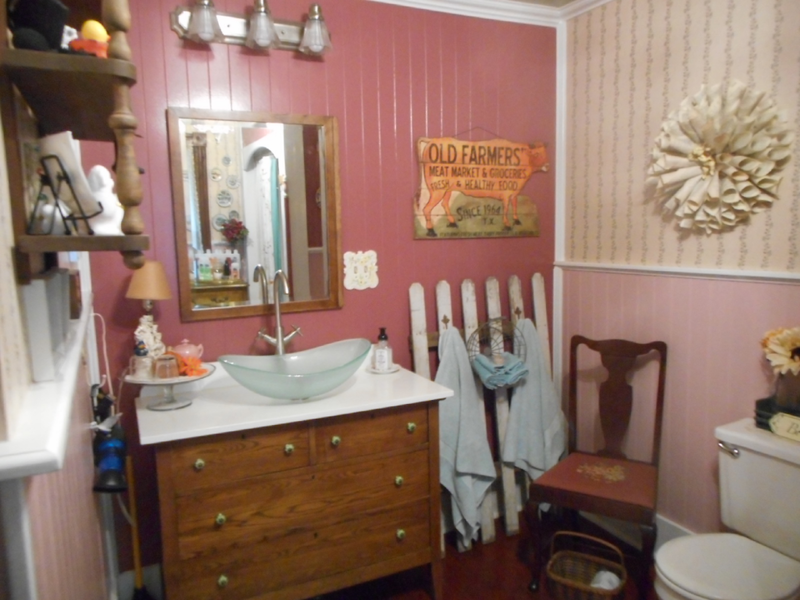 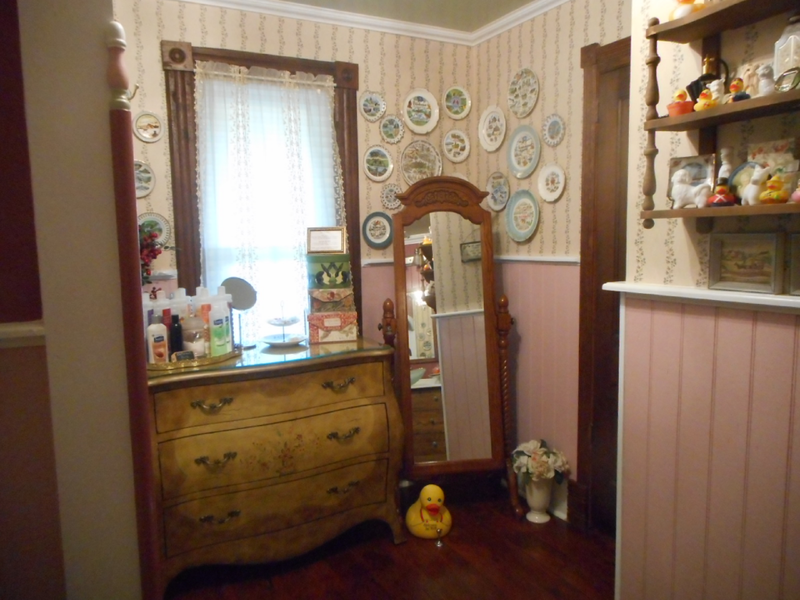 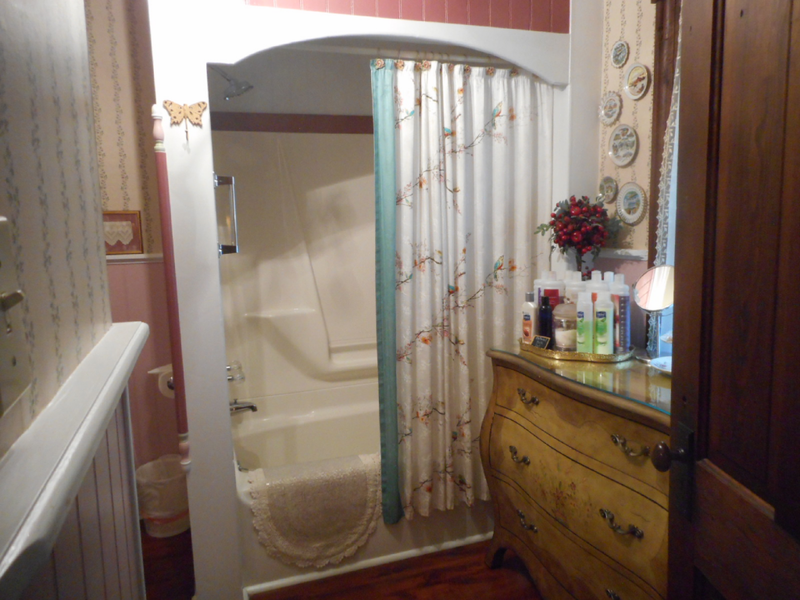 SHARED hallway bath with a 1913 vintage clawfoot tub and shower. 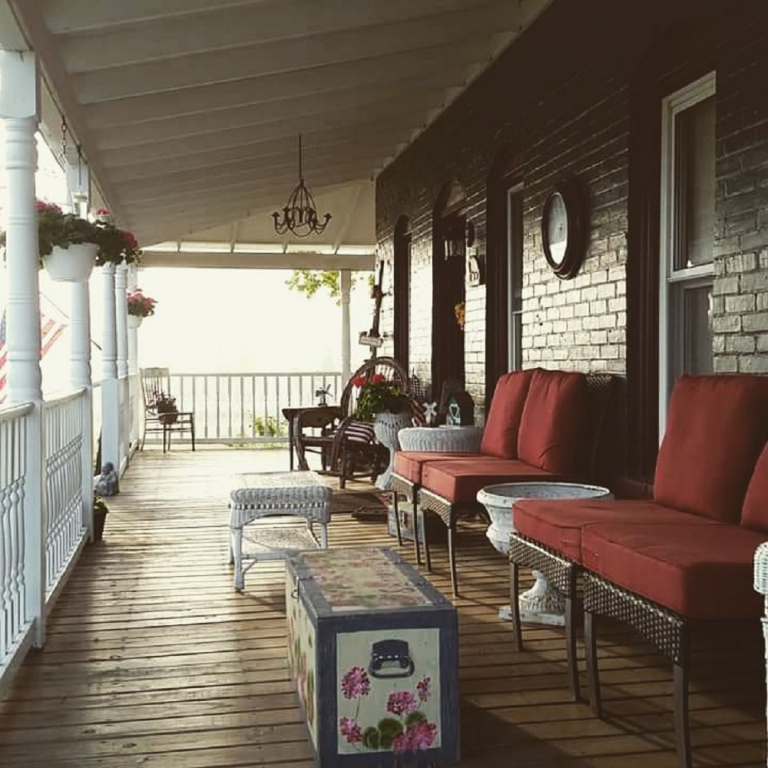 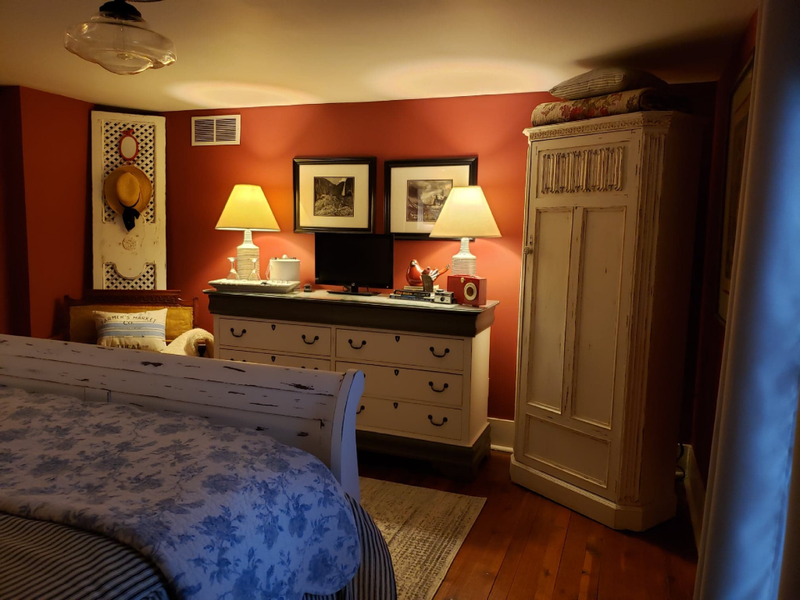 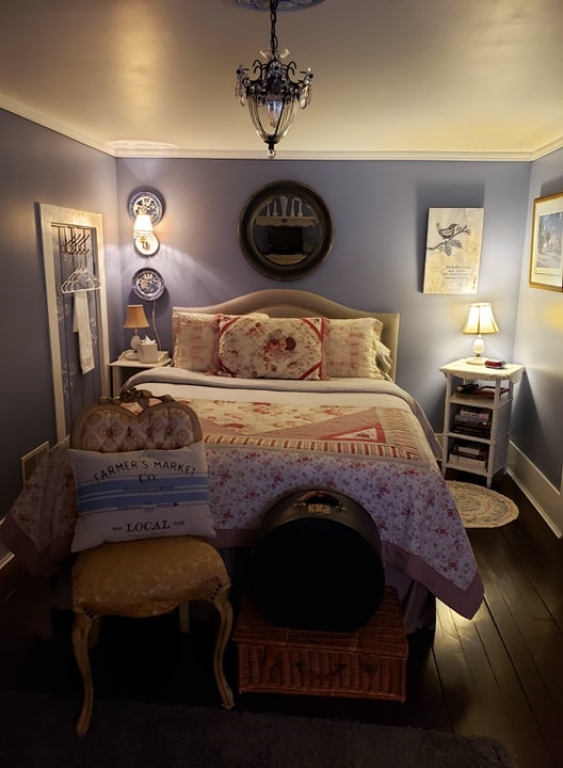 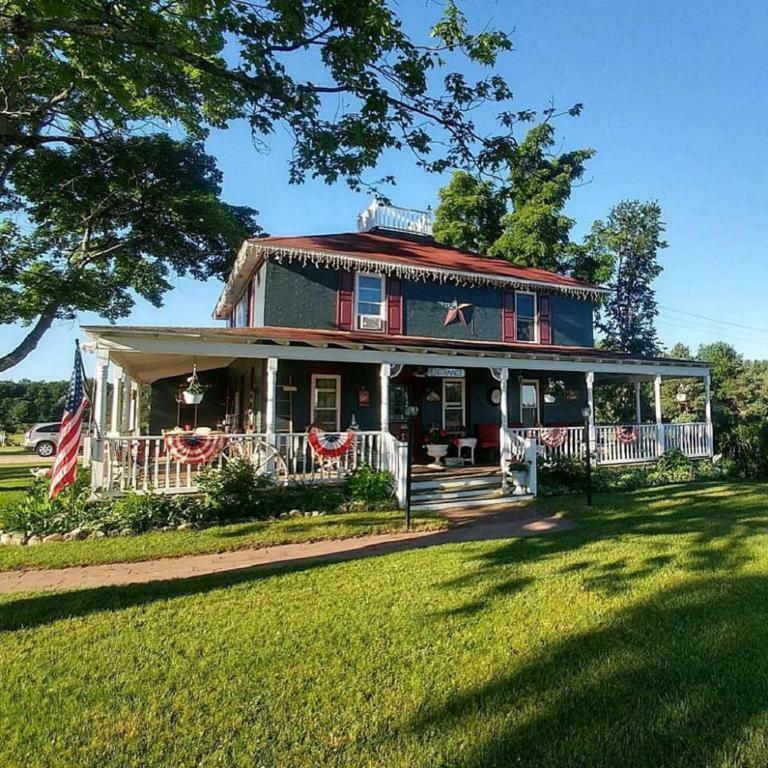 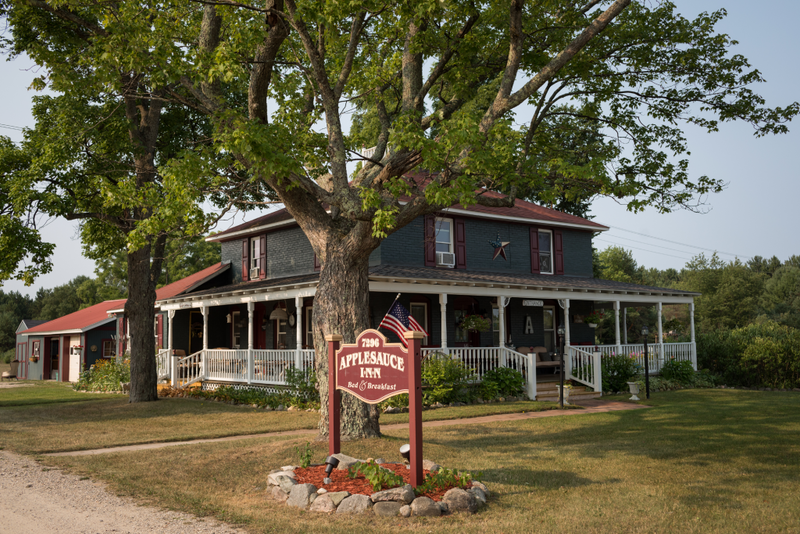 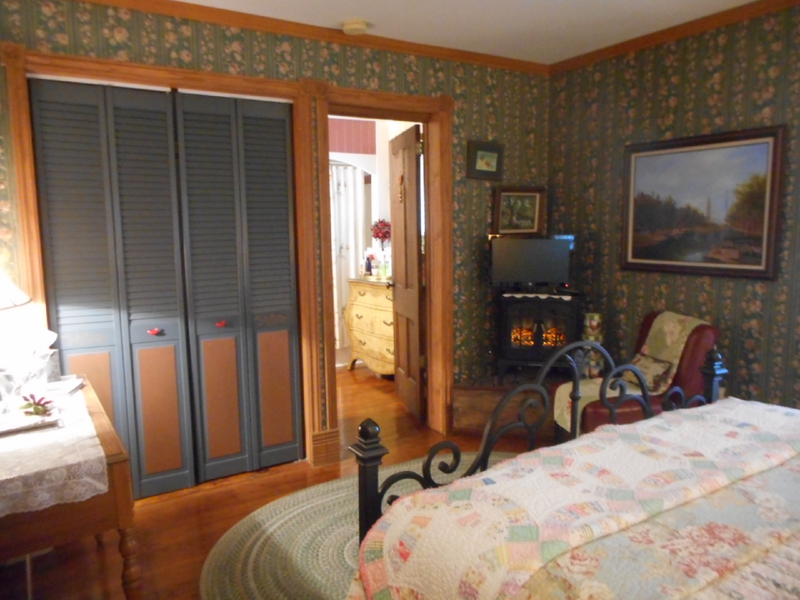 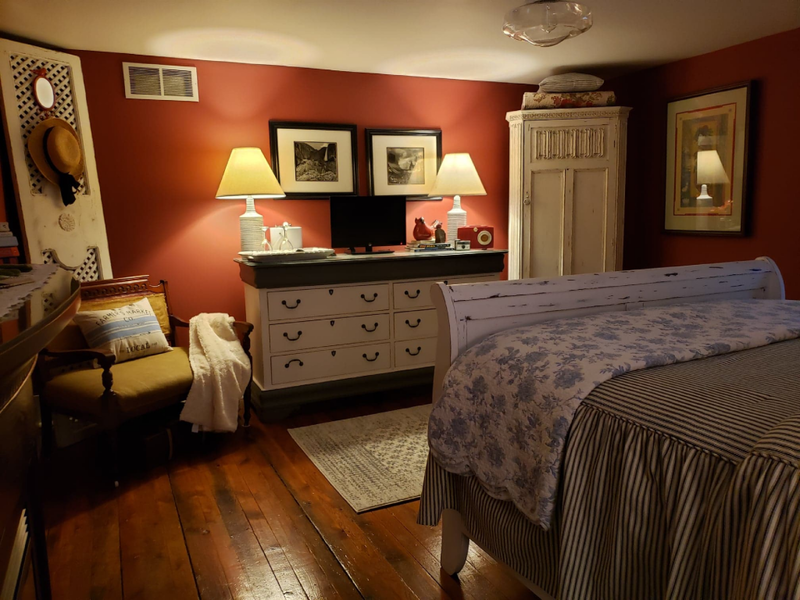 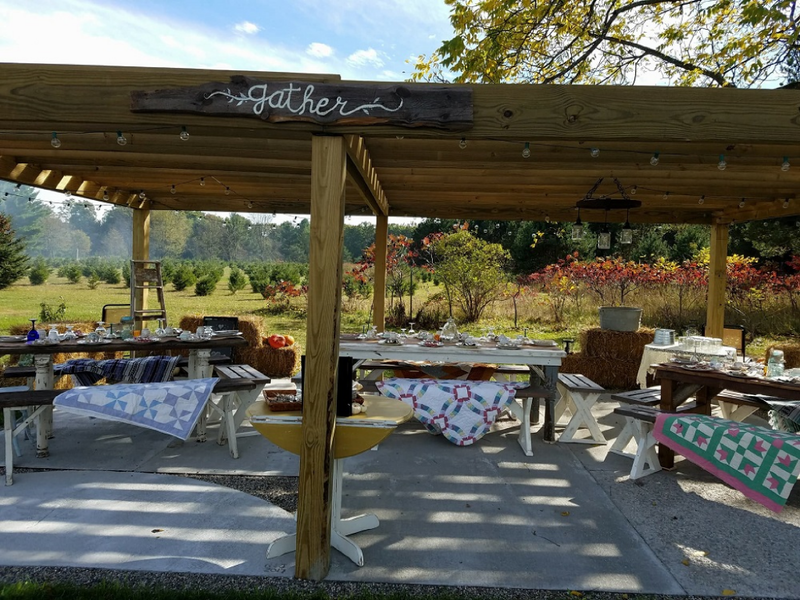 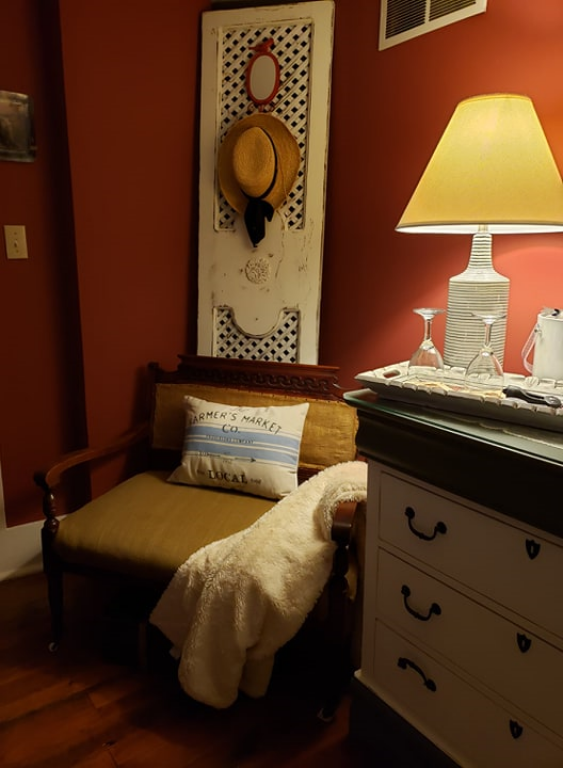 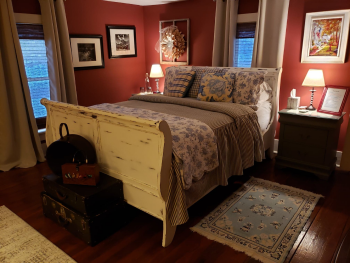 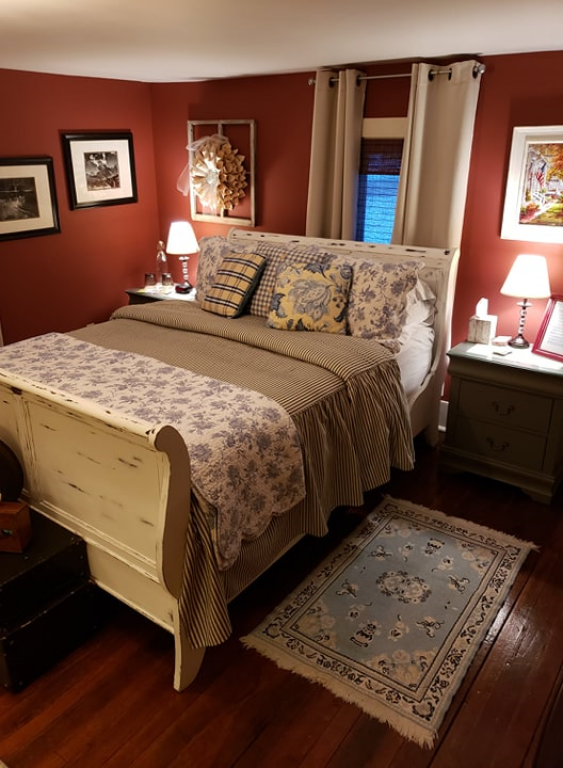 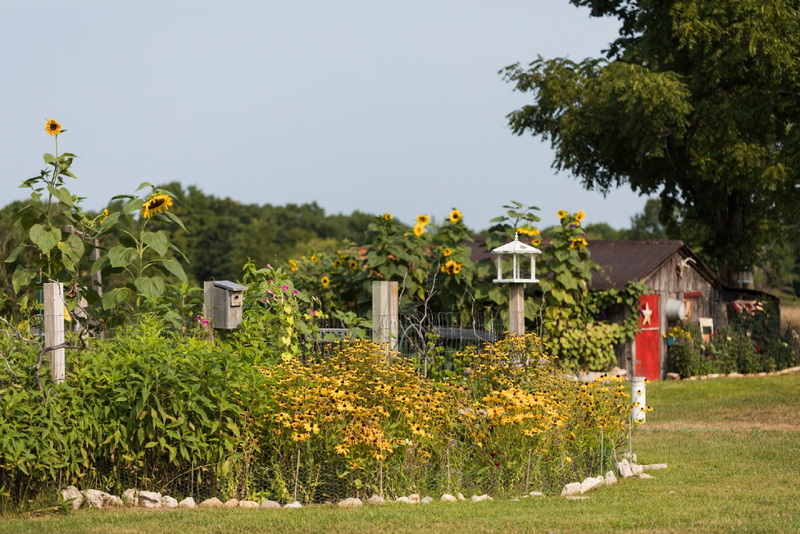 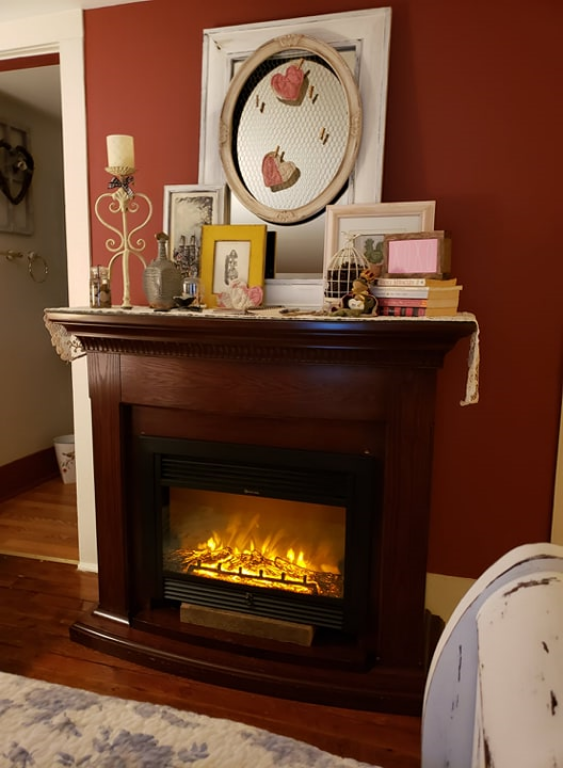 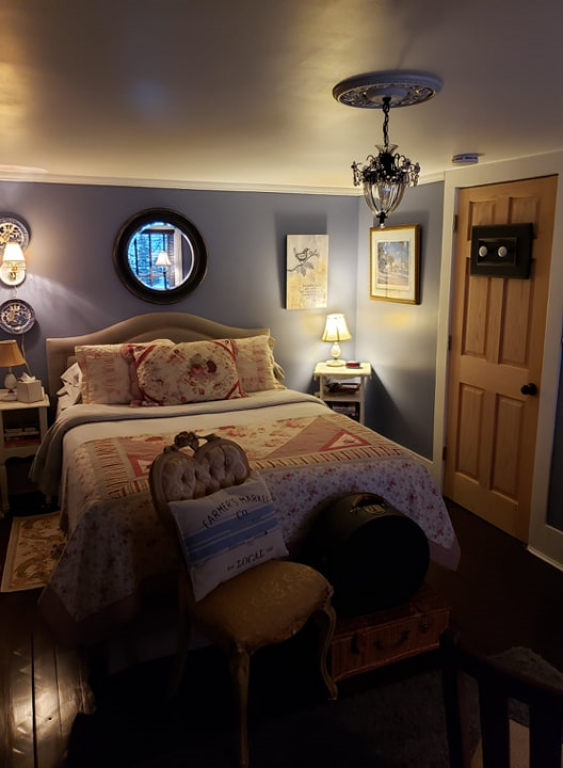 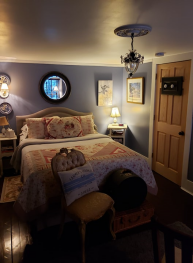 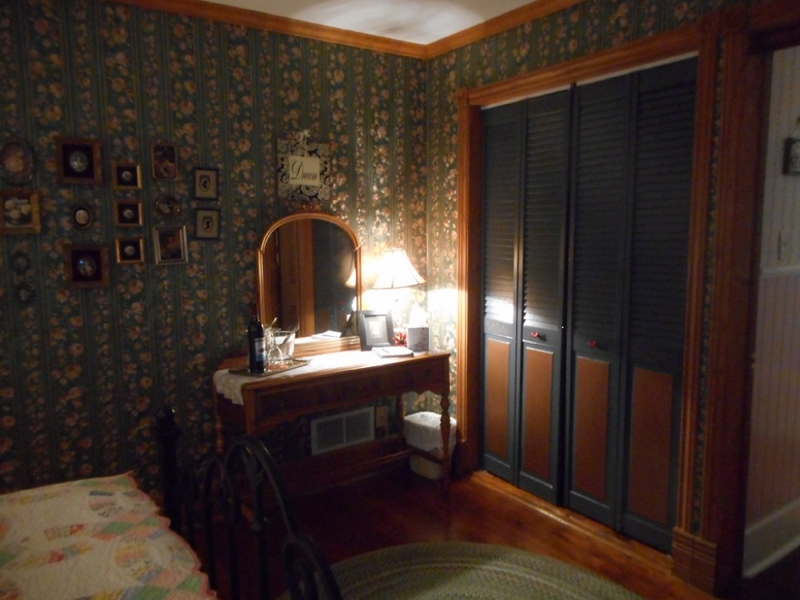 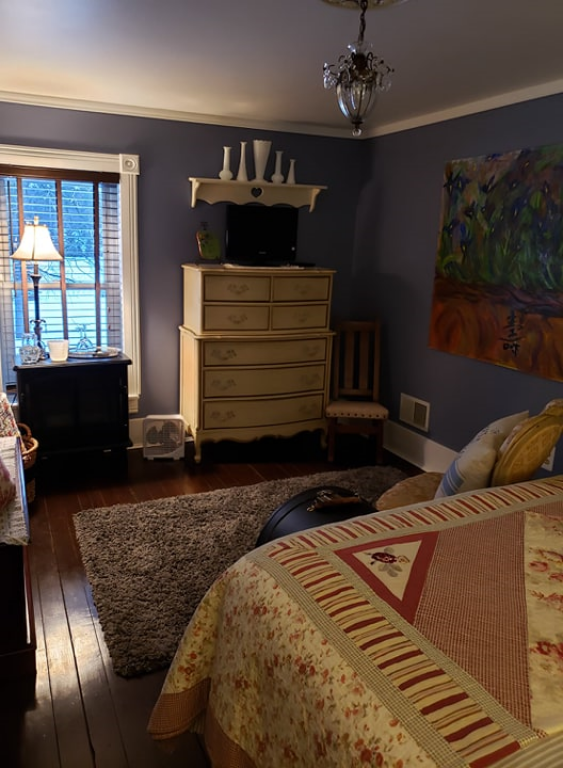 Our largest room is located on the 2nd flr, decorated in warm reds & golds, a queen cherry sleigh bed, small PRIVATE bath with shower, sitting/reading area with cherry electric fireplace, HDTV, Wi-Fi, expanded cable, bathrobes and room to spread out.